Cut four shelf supports (F) from 1x2 pine, each 20 inches long. 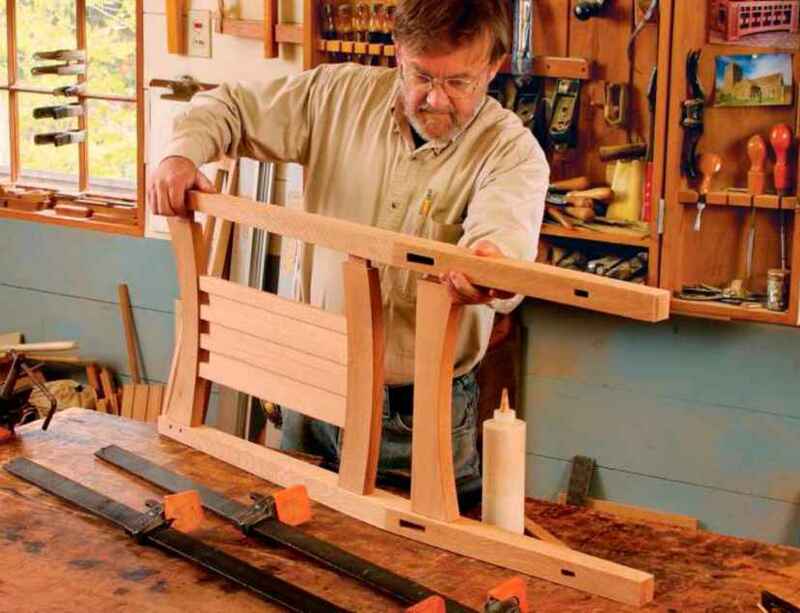 With the assembly still upside down, measure 1-1/4 inches down from the ends of two adjacent legs (any two). Attach one shelf support (F) on the inside, connecting those two legs, as shown in Figure 3. Use glue and one 2-inch-long screw on each end of the shelf support (F). Next measure 17 inches from the same ends of the same two legs. Glue and screw a second shelf support (F) on the inside of those two legs at the 17-inch mark (Figure 3). Repeat steps 2 and 3 to attach the remaining two shelf supports (F) to the insides of the remaining two legs.